Golf Lessons are available 7 days a week by David Beal, a PGA qualified golf instructor with 20 years experience in coaching beginners, county players and European Tour Professionals. Beginners are very welcome and all equipment is supplied within the lesson price. Please allow 24 hours notice for bookings. 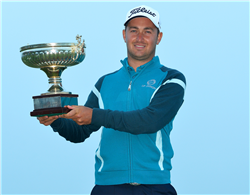 Daniel Brooks, European Tour Player, plays, practices and is coached at Mill Hill Golf Club.